Juventus have genuine interest in Cristiano Ronaldo, according to BBC Sport. The Italian giants want to spend £88m on the Portuguese striker, who’s won the Champions League three years on the bounce. Cristiano Ronaldo-Juventus: Juve have approved the plan to sell Higuain and Dybala to make room in their budget. Pjanic could stay if Fiat sponsors Cristiano. If Dybala is available, Liverpool would be crazy not to consider a bid, especially following the collapse of our Nabil Fekir transfer. The Frenchman was all but signed and sealed, but Liverpool cancelled a transfer late on due to the results of the medical which showed potential long-term knee complications. As a result, we’re still without a natural Coutinho replacement, but Dybala would fit the bill perfectly. He’s 24-years-old and scored 22 Serie A goals from the no.10 position last season. Dybala is extremely creative and can pick a pass, too. On paper, he’d slot in behind Roberto Firmino perfectly, with Sadio Mane and Mo Salah as inside forwards, and two central midfielders providing us a base from which they can cause havoc. Coutinho was used as a creative no.8, and that’s a position we can’t imagine Dybala would struggle adapting to either, as our former Brazilian playmaker didn’t have too much defensive responsibilities. 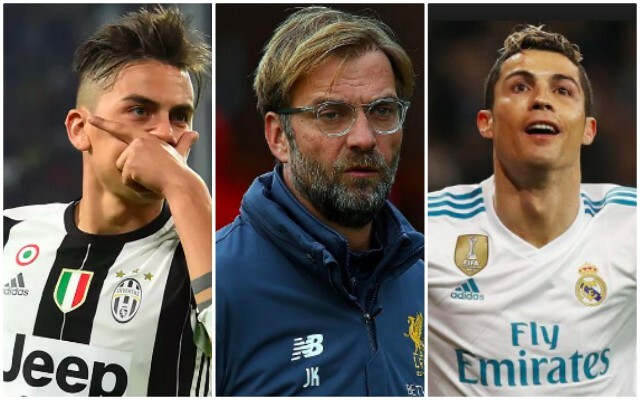 We know Liverpool have money in the bank and if Dybala really is available, he’s one we should get ourselves in the front of the queue for. It’s not often players of his calibre become available and we actually reckon Jurgen Klopp would be able to convince him to come, as well.